Funny thing happened on the way to reviewing this candy today-I was sure that the company who makes them, Gerrit J. Verburg & Co., was based in Europe. But I was half wrong-they’re in Michigan, right here in the good ‘ol USA. Owned by Gerrit Verburg, who in fact is based in Germany. So it’s like a melting pot of candy opportunity. It make sense, because these gummies taste uber-European-unlike most American candies I’ve tried. Buuuut…..they’re actully made in Holland. Let’s call this company Gerrit’s, as it’s easier. Suffice it to say, they’re worldy. They make a lot of great candies you’ve seen before, from their extensive line of Gustaf’s licorice, to the iconic old fashioned and truly weird “Satellite Wafers“, to some trippy new things I’ve never seen before. Today though, I want to focus on these Caddys. I saw these at World Market, and they looked cool. Nice bag, it had the “all natural” colors & flavors label….why not, right? Wow. Headline: They’re amazing, and you need to try them. The flavor of these is spot on melon. I always confuse Honeydew & Canteloupe, but it tastes exactly like one of them. Pretty mild, but actually, as you chew it, the flavor intensifies and is really satisfying. It really hardens the fruit, in the best way. 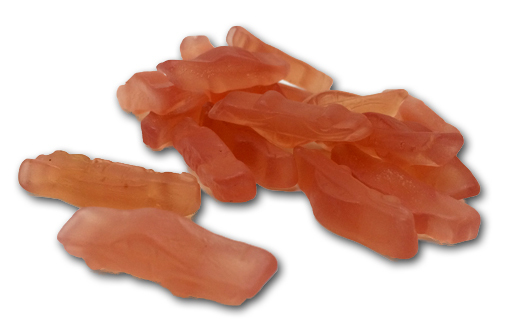 The consistency is that Euro-gummy vibe I’ve grown to really love: extremely tough and chewy, but not eternally sproingy. It definitely has that sproing for a while, but you can actually bite through the gummy and chew it relatively easily. I’m not sure what exact ingredient or lack of ingredient causes this, but I definitely like this more than the traditional gummy bear-like consistency. I’ve bought three bags in the last two weeks and we have exactly none left-a good sign. A bad sign is that my mini Guru and Mrs. Guru like them a little too much, so I’m gonna have to start hiding them. Dont be like me-be smart. Don’t share them with your family when you get them home. Yes, I know this “seems” like the right thing to do, but it’s a trap. Hide them, and secretly binge on them and laugh to yourself at how much smarter you are than your 9 year old…until he finds your stash and you have to start again. These things are cyclical. These are great. 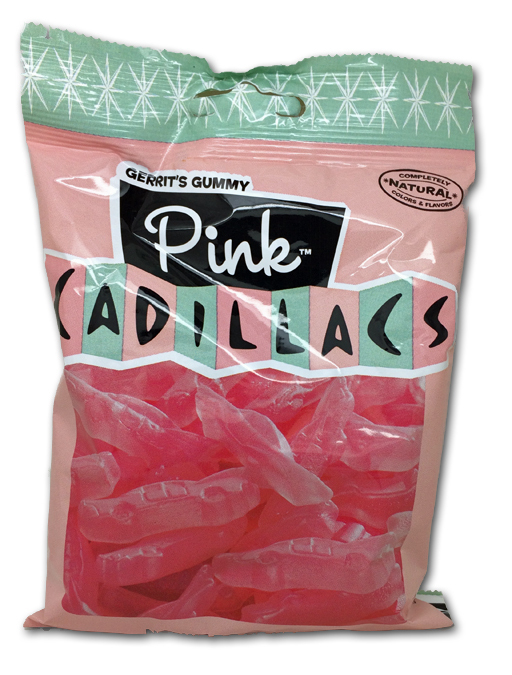 And the consistency was unique – not the typical gummy. Hard and chewy but not plasticy. Like, your teeth can get through them and it doesn’t just break down into smaller pieces That make sense? great. I cannot get enough of these. I have decided to order them in bulk instead of buying them at World Market. They are that good.